Comey Pens Op-Ed About What He Wants From Mueller Report. Here's What He Had to Say. 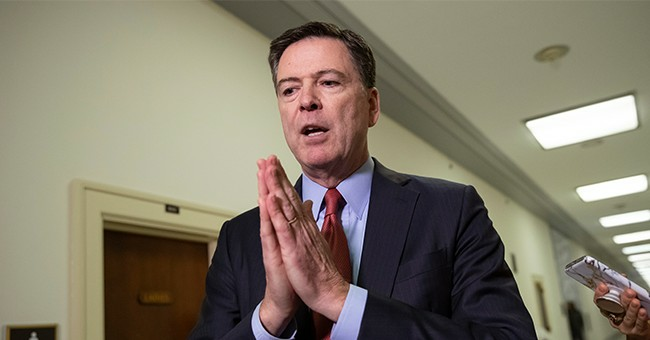 Former FBI Director James Comey penned an op-ed in The New York Times Thursday explaining exactly what he hopes to see from special counsel Robert Mueller’s report on attempted Russian interference in the 2016 election, which is expected in the coming days. Comey said he is neither “rooting” for the report to show President Trump is a criminal or that he is cleared. Instead, he said he’s on the side of the rule of law. Of course, Comey couldn’t conclude without taking a jab at the president, whom he refers to as a "chronic liar who repeatedly attacks the rule of law," telling fellow critics of Trump that it’s not impeachment they should hope for but his defeat at the ballot box in 2020.